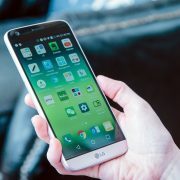 Instant messaging apps on Android can do so much, but still there are many who want to make use of texting apps for sending messages to others. Hangout is the default SMS and IM app that comes with every android phone. However, if you are looking for other useful free texting apps, the list is here. Also, if you are looking for ways to improve the performance of your android phone, check out the top 5 apps to boost your Android device. Read here- Best antivirus apps and anti-malware apps for Android. 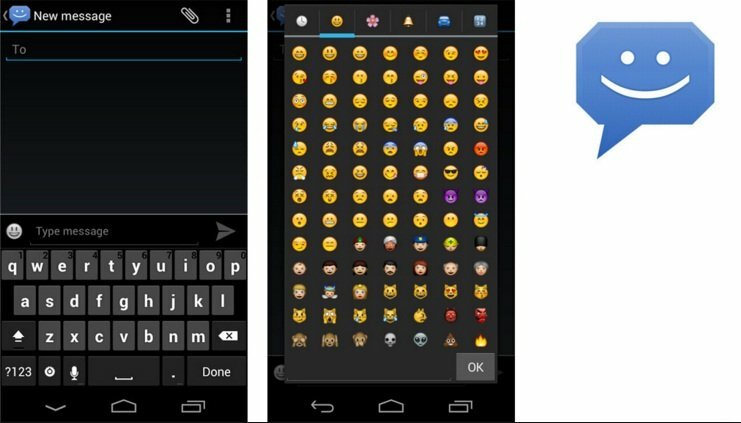 This is a very useful and most widely used texting app that comes with a simple interface. It includes many of the Hangout features but eliminates the cluttering part thus makes the interface very simple to handle. Capturing photos, recording audio messages, etc. are also offered in this app. 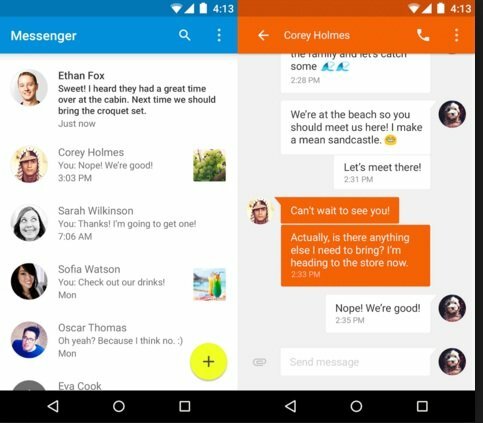 So, if you are looking for a messaging app that comes with all the basic features loaded, Google Messenger is a great choice. 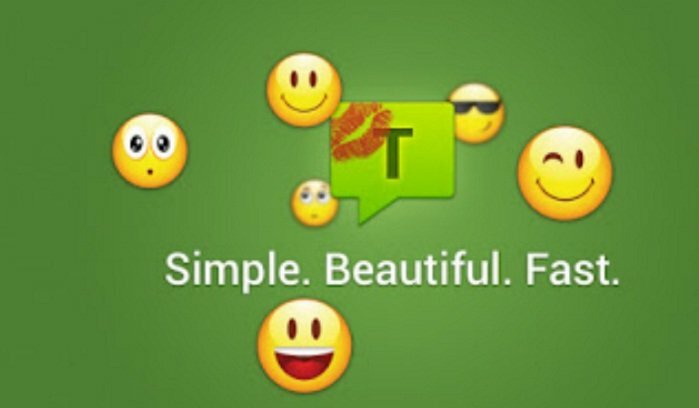 This visually beautiful app is one of the best free texting apps for Android. 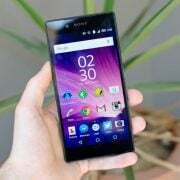 It is very small in size as it occupies hardly 3MB space in the Smartphone. This app is packed with useful features like quick reply option, message blocking, capturing photos and sending them to others through MMS, floating SMS notification, etc. Also, it is very fast. 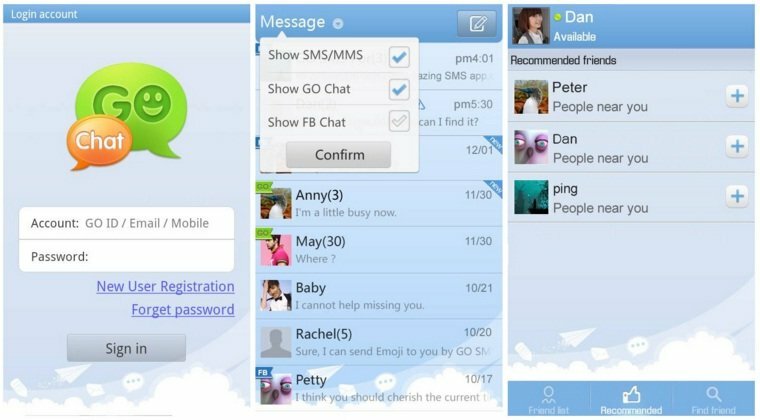 MySMS is another popular app that is not only supported on Android, but the Windows and Mac users can use it as well. Message export and backup group messaging, MMS, message scheduling, etc. are the features equipped with this app. Also, other services such as Dropbox, Evernote, and Google Drive are supported by MySMS. There are many advanced features as well, but those are available at a rate of $9.99/year. 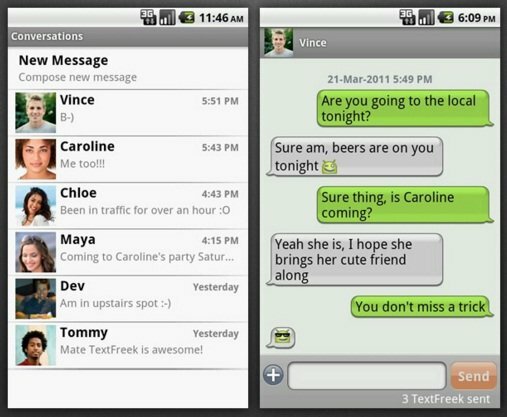 Those who are looking for the best free texting apps for android with customization options should consider Chomp SMS. You can choose from thousands of themes available and get the messaging you want. Scheduled SMS sending, blocking of certain numbers MMS, group MMS, sending quick replies, pinning favorite conversations to the top, etc. are the main features. Also, the notification can be customized according to the needs. So, download this app and enjoy its countless features. 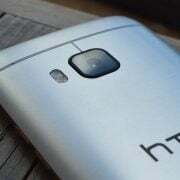 If you are using an Android device running on KitKat 4.4, you have this app by default. But, in case you are using an older version, you can have a look at this app that will let you enjoy all the needed features that generally come with most of the texting apps. 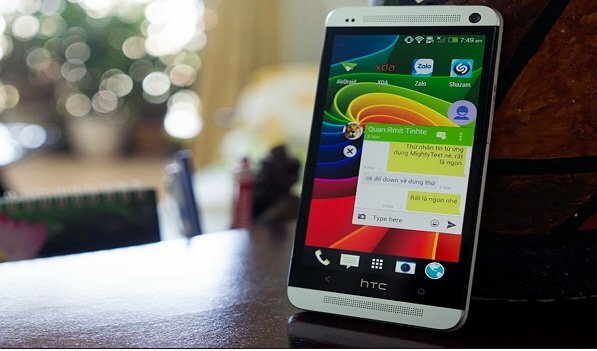 Loaded with tons of useful features this is another free texting app for Android. If you are looking for an app that can provide the best privacy, this is it. A private box is the place where all your personal text will be present and this is accessible via password. Moreover, the text can be stored in the cloud if you want, and users can make calls to other Handcent friends through the feature Handcent calls. 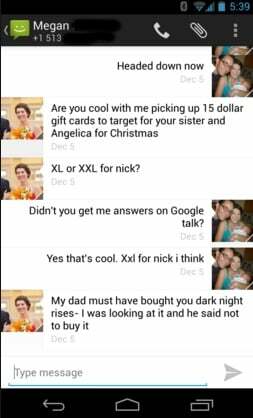 This is another text-messaging app that includes most of the basic. Quick pop up reply is the best feature available in this service. 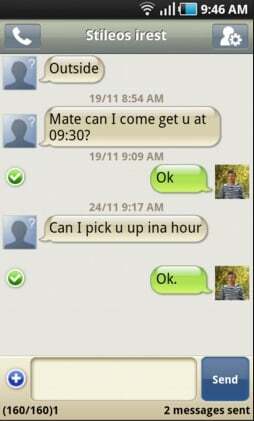 So, if you are looking for the optimal, but simple and free texting app for Android, make sure to try this one out. This is an amazing texting app created by the GO DEV team and it is packed with interesting features such as the customization option of themes, private Box for personal messages, sticky conversation and quick reply pop-ups, delayed sending, cloud backup of all texts, etc. Also, users can block the unwanted numbers that are creating problems. This Quick SMS or QK SMS is the beautiful app that has been created by the dedicated developers and they are still working hard to bring the improvements. Features like group messaging, night mode and quick reply are the basic ones, but you can enjoy various advanced features that are available in the Pro mode. The pop-up bubble functionality is the most enjoyable feature where the users can reply to the messages from the notification bar or else can dismiss it if wish to reply later. So, it lets you perform multi-task thus makes everything easier and faster than before.